Well, it’s only been 16 months since I wrote up part 2 of this trip. One of my goals for this long Christmas / New Year’s break was to catch up on my blogging, and well, there’s only 2 days left of break so I better get going! Looking back through this pictures makes me so happy. When I think about all the trips Drew and I have taken so far in Europe, this is probably still my favorite. 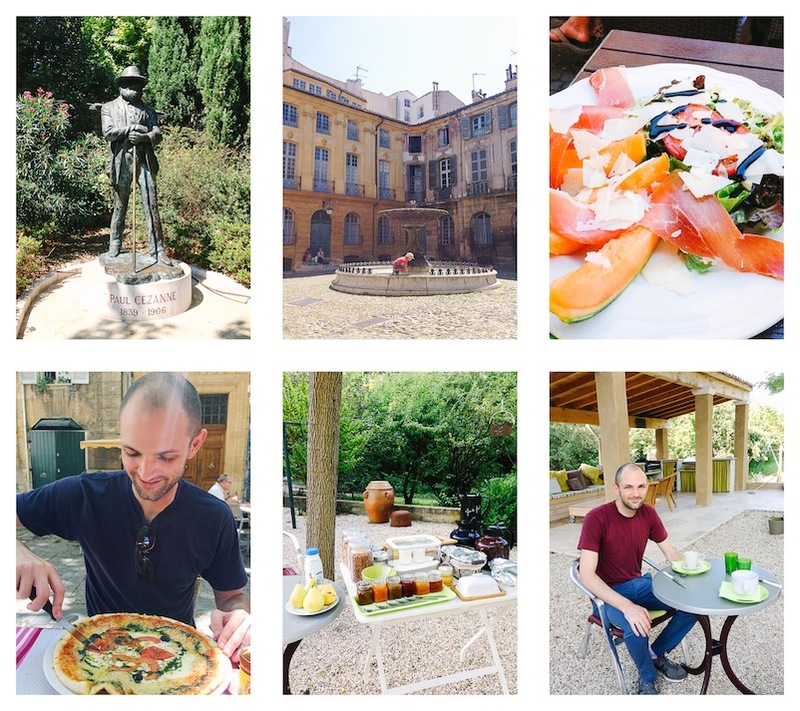 It was just exactly what I thought a week in Provence would be like. 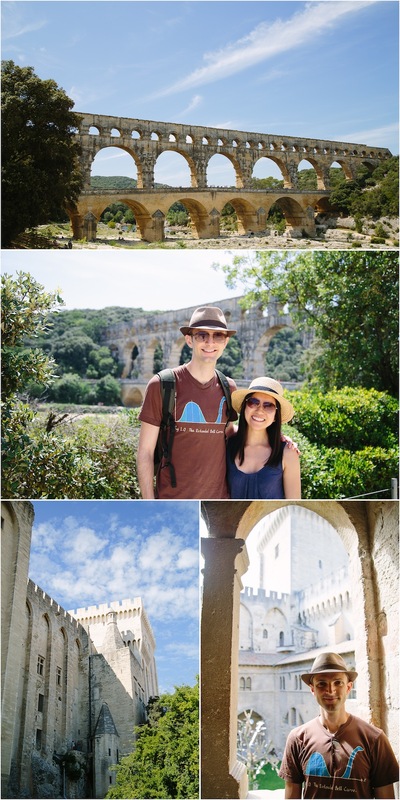 We visited the Pont du Gard, which has always been on my list of places to see. It’s was kind of odd actually to see a textbook picture come to life. The best part is that it is not walled off anything, you can walk on it and swim under it! Our next stop was Avignon, which is probably best known to US French students from the song. We also made a half day stop at Arles, which has a lovely Van Gogh Museum. 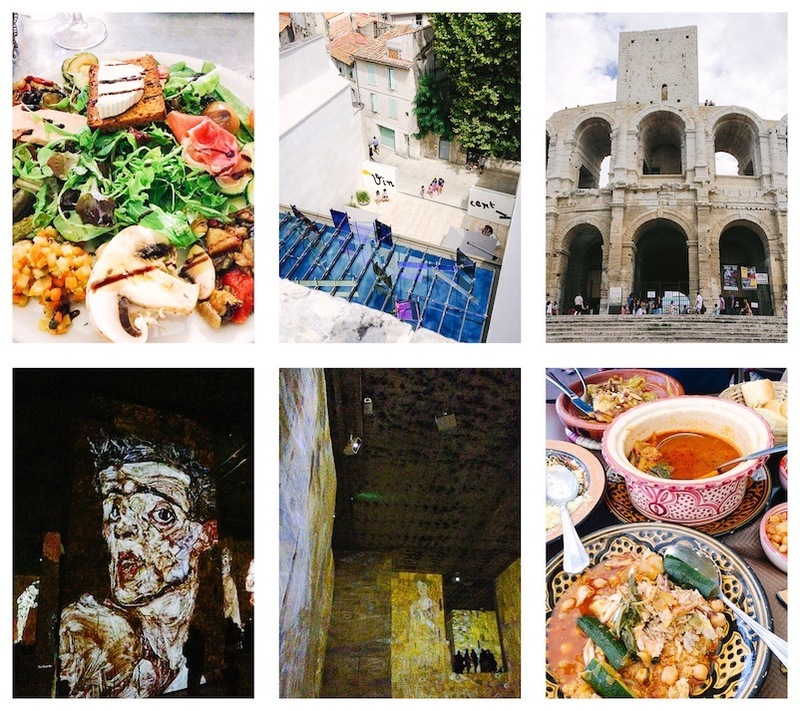 Our last day in Provence ended in Marseille, where we toured the harbour and ate at a wonderful Moroccan restaurant. All in all, it was a perfect vacation. Enough fun stuff to stay entertained, at a slow enough pace to still be relaxing. I’m already planning to come back many many times. I’m missing the sunny warmth of France so much right now as London is definitely heading into fall. We took a break from traveling in June and July, Drew and I were both a bit tired out and work was a bit crazy (more on that later). But by July we were getting antsy and with ample vacation time, we decided to take a holiday to the South of France for the first week of August. 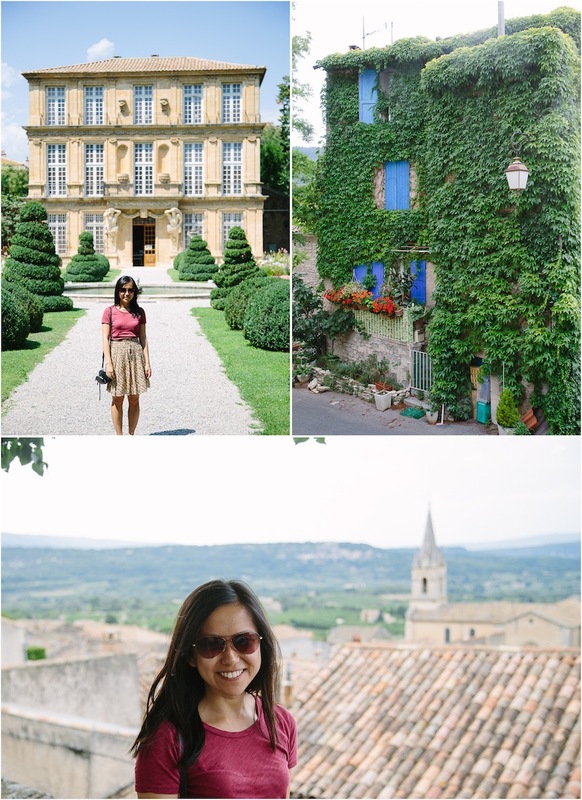 I’ve been wanting to go to Provence since our wedding. We had briefly considered it for our honeymoon, but after looking at our checking account, decided that it probably didn’t fit into our budget at that time. Now that we’re so close, it seemed like the perfect time! We had a week off and decided to split our time between the sea and the hills. 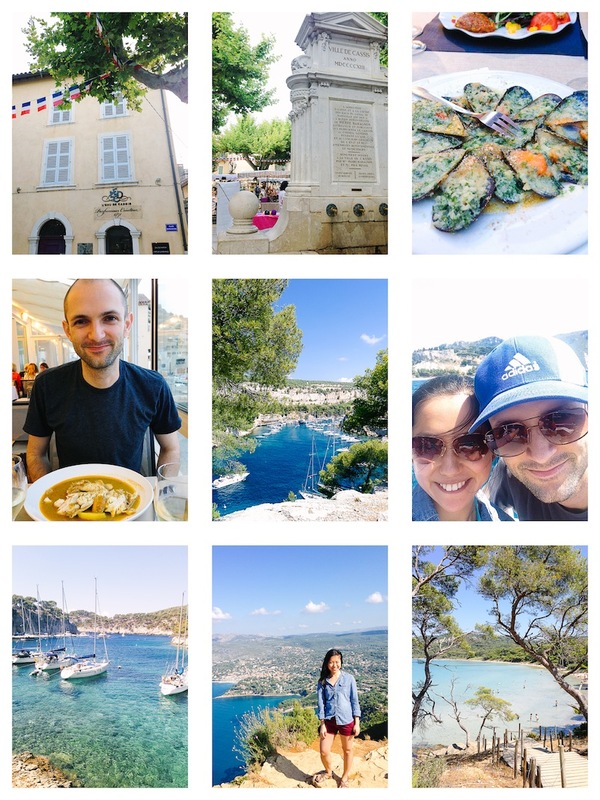 We flew in to Marseilles, rented a tiny smart car, and made our way to through hectic Marseille traffic to Cassis. Once we walked into our rental apartment, we were greeted with simply the most stunning view of the sea. It instantly put us in vacation mode. Cassis is a tiny seaport town where a lot of French tourists make their august holidays. It’s claim to fame is that it’s near the Calanques, which are like mini fjords. We really wanted to kayak to the calanques, but the day we went, it was much too windy so we made do with a boat tour. Once out of the port and into the sea, the most noticeable thing was the color of the water. It was so incredibly blue, and clear! 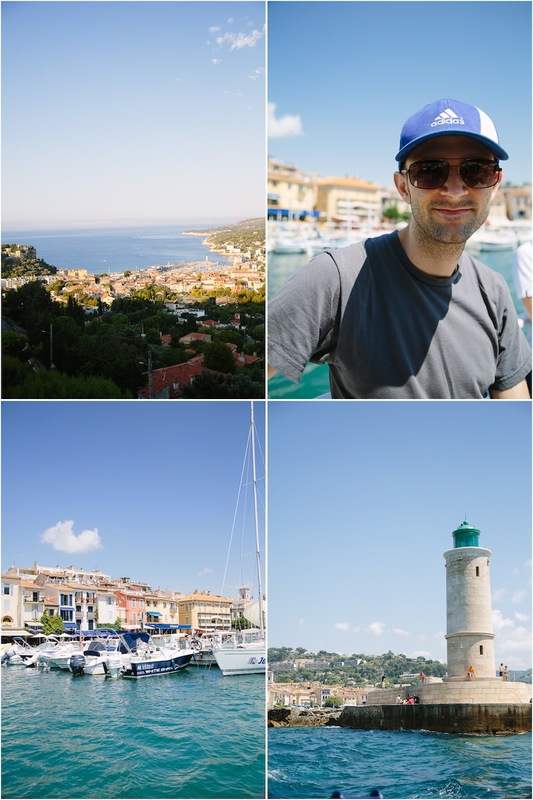 Our favorite part of our stay in Cassis has to be our day on Ile de Porquerolles. It’s a little island off the south coast of France. The French government bought most of the land there many years ago and turned it into a nature reserve so it’s mostly uninhabited and undeveloped. We rented a couple of bikes and biked to one of the beaches. The water amazing, a beautiful turquoise blue and so clear! It really was a little slice of paradise. I wish we could have stayed on that island longer, but we had other things to see! Day after our island adventure, we said goodbye to the sea and headed up to the hills of Luberon. On the way, we stopped in Aix-en-Provence. Unfortunately we picked Monday to be there when the Musee Granet is closed. We were also too late to see much of the famous market. Still, we had the best pizza I’ve ever had and saw some really cool fountains. When we finally arrived at our Airbnb rental near Isle sur le Sorgue, we were greeted with the mostly lovely apartment and in the morning we had a perfect breakfast with homemade yogurt, freshly baked bread, and pears from the garden. Next up, the hills and towns of Luberon! You are currently browsing entries tagged with Provence at Things An Likes.